Grace the Golden Retriever picks up each of her toys individually and places them in the toy box. When she’s all done, she even closes the lid. 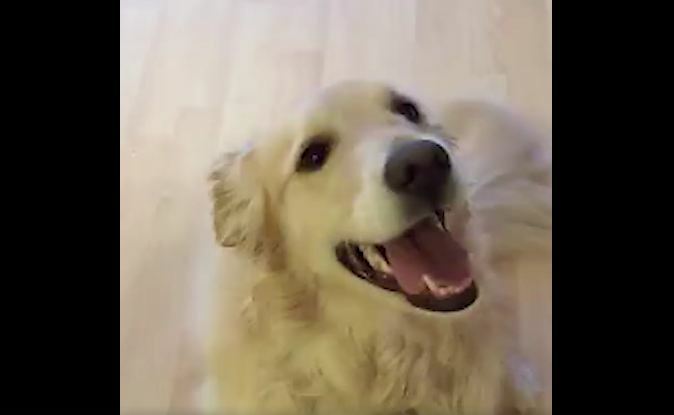 And in typical Golden Retriever fashion, she’s happy and wagging her tail the entire time!